With the social and economic development, aging society has become a global phenomenon. Due to the huge population base, and to the birth control policies of recent decades, China is aging at fast speed. As a result, tragedies due to loneliness often occur. Although modern technology could address these problems, most companies focus on stylish digital products for the young, no matter millions of old people are living in pain. 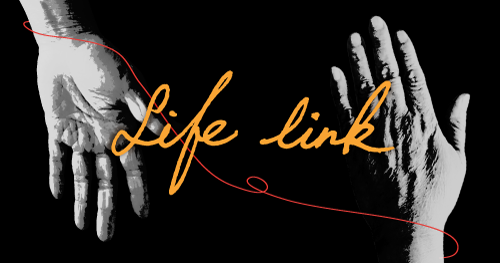 Life Link, the name has a double-meaning: “lifeline” and “blood tie”. Lifeline is a curved palm print extending from the part between the thumb and the index finger. In palmistry, it’s a symbol of life and vitality. Lifeline if clear and extends to the wrist, presages longevity and good health. This is the first meaning of the product: protect the user’s safety to extend his life; “red string” also called “red string of fate”, is a Chinese mythological red cord that contacts interpersonal relationships (especially romantic relationships). Chinese people since ancient times believed that two destined people tied together by an invisible red cord at the ankles. It leads to the second meaning: the bond, contact, love between parents and children. Life Link establishes between the users an invisible fetter, convey the thoughts for them. Life Link is a monitoring equipment set, specially designed for Chinese elderly who live alone and for their children. It is aimed to monitor the elder user’s physical conditions, and to warn the application user whether an emergency arises; meanwhile Life Link can also remind the children to frequently contact their beloved parent. 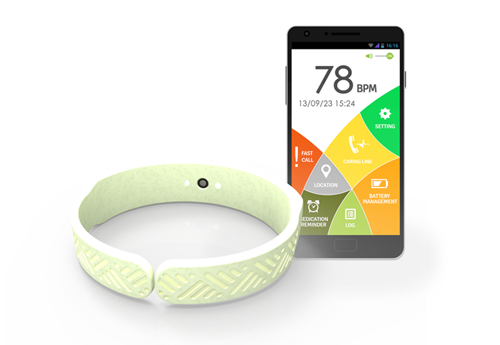 Life Link consists of a wearable device and a smart phone application, data are transferred via mobile network. The device is shaped like a bracelet merged with elements loved by Chinese old generation. It offers functions that meet a single elderly’s basic safety requirements: Vital sign monitoring, Consciousness determination, Fall determination, Emergency call, and Medication reminder. It also takes into account their emotional needs: the bracelet allows loneliness transfer both in active and passive ways. Life Link was aimed at alleviating the suffering of old Chinese people, whom in my opinion, are living with the a worse situation than most of the countries. It will strengthen the blood bond between parents and children, a sort of red thread between generations.